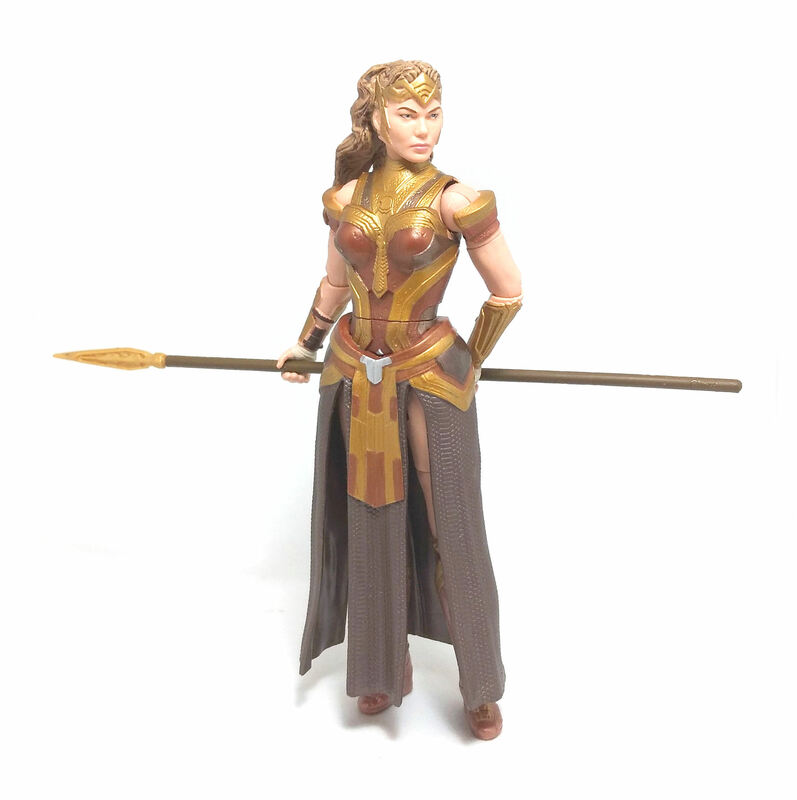 Queen Hippolyta is another of the regular characters produced by Mattel in the DC Multiverse line to promote the first Wonder Woman movie. 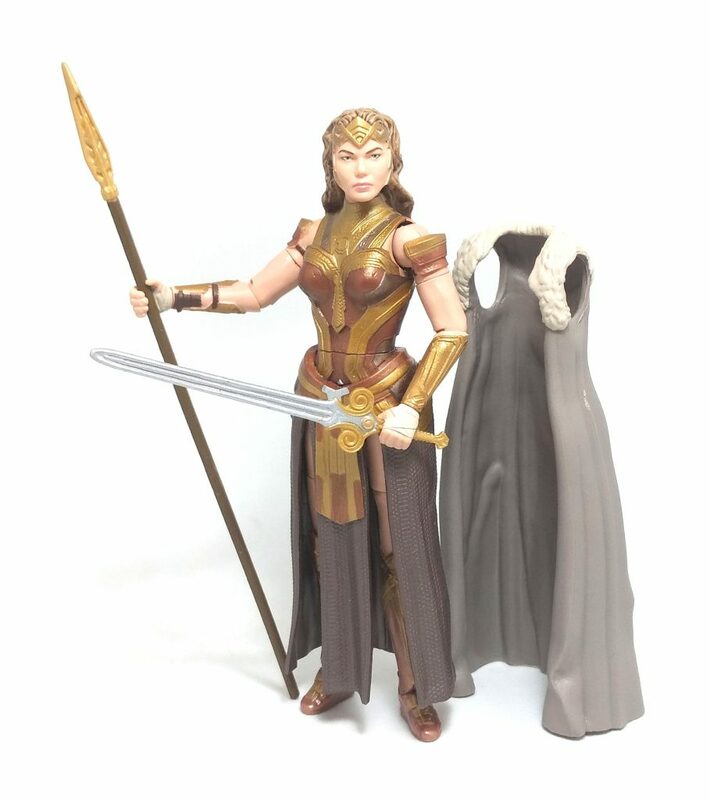 Hippolyta is a major character at the beginning of the film as played by actress Connie Nielsen, and this action figure depicts her in a very regal outfit consisting mostly of a long cloak worn over a very ornate suit of Amazonian armor. 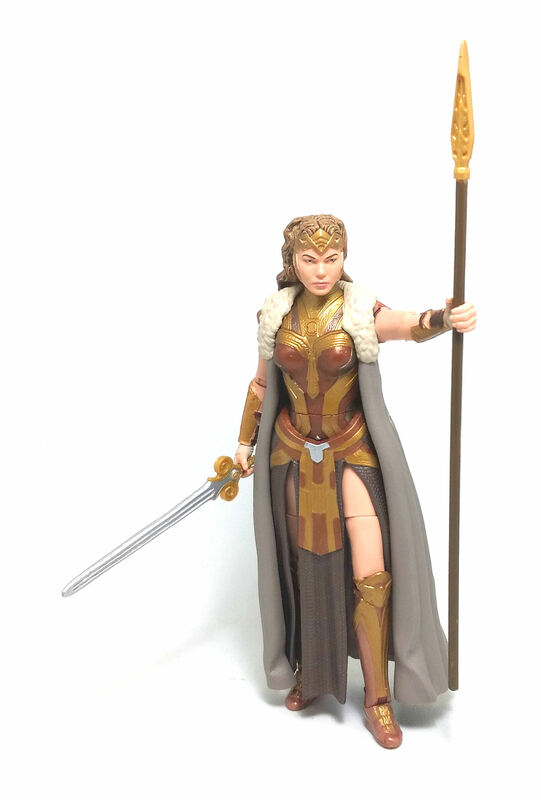 The cloak piece can be removed to appreciate all the minute details sculpted underneath and it’s removal also serves to give Hippolyta a more action-oriented appearance. Hippolyta’s head sculpt is nothing short of outstanding. The face is a very good rendition of Ms. Nielsen and the hairdo is among the best I have seen sculpted at this scale. Aesthetically, the overall design for Hippolyta reminds me more of Marvel’s version of Asgard than Greek myths, but the Queen certainly looks the part and the finished result is quite pleasing. There is just a single thing that I don’t quite like about this figure and it is that her feet are too small. Luckily, this doesn’t seem to impair her ability to stand, but I think they look wrong considering the overall body proportions. • Pin & disk shoulders. • Pin & disk elbows. • Pin & hinge hips. 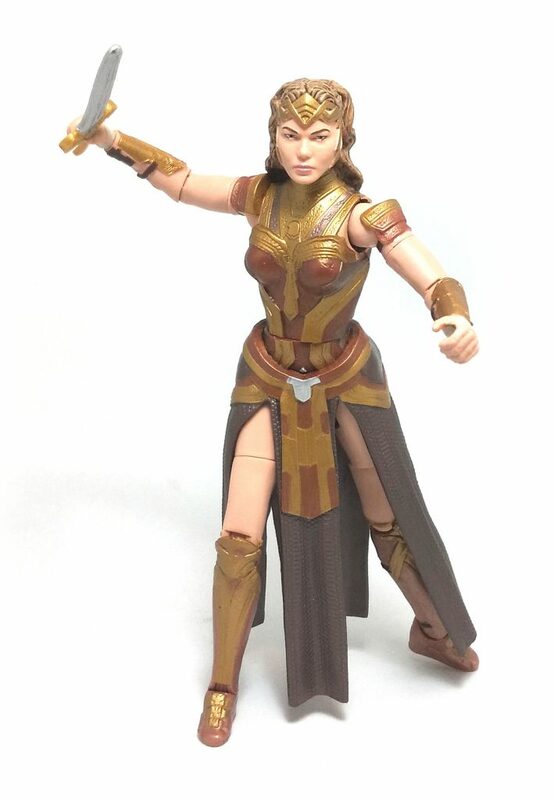 The joints on Hippolyta are fairly tight, which helps her to hold a variety of action stances but the range of movement is still rather limited by the character design. The paintjob on the Queen of the Amazons is generally well applied, with only minimal fuzziness or stray paint marks. The armor panels are painted in brass and copper, and the cloak has the furry trim painted in a light cream color complementing the ashen gray/brown plastic it is made from. 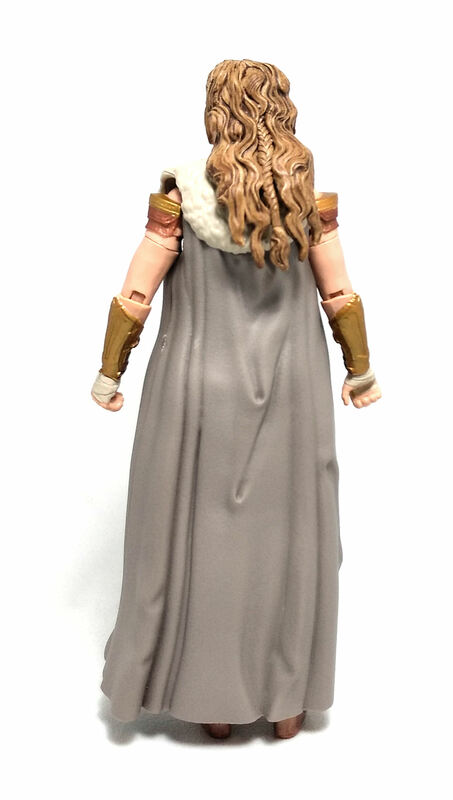 Once again, the paint apps on the face came out very well, if a bit on the plain side of things, since Hippolyta doesn’t sport much make-up, except for a very discrete lip shadow. Queen Hippolyta comes armed with a sword and a spear, both made from resilient golden plastic and painted silver on the sword blade and brown for the shaft of the spear. 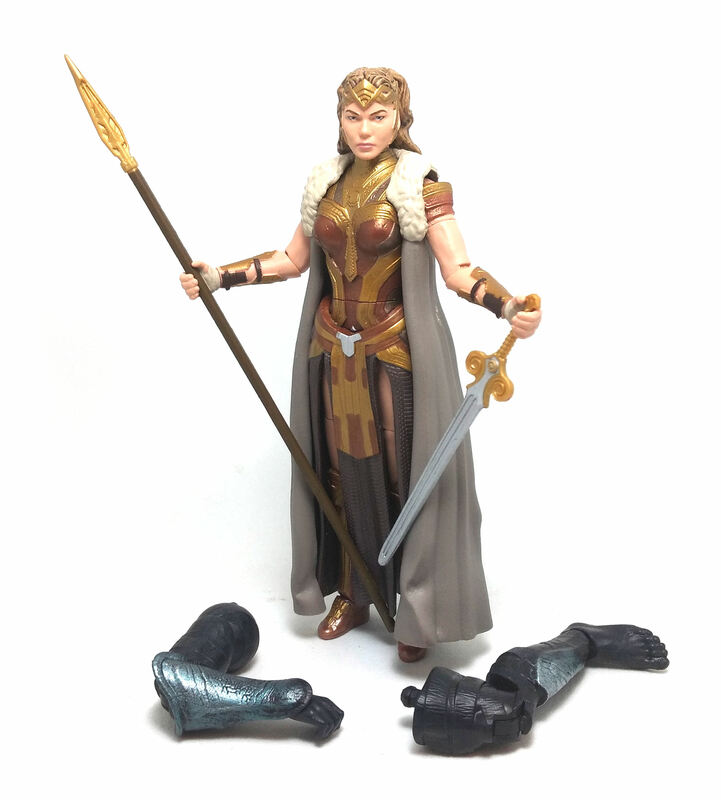 Included with Hippolyta are the right arm and the left leg of Ares, despite the back of the box stating it should include both right side limbs of the God of War. Do not mind what the box says, as the other character in this series that has the rest of Ares’ limbs, comes with the ones needed to correctly build the figure .